No official word from the Chrome Release Blog but according to the update server, Chrome OS 69 has started rolling out to a handful of Chromebooks. There isn’t a lot of rhyme or reason to the devices that are getting version 69 other than they are all older Chromebooks starting around the Braswell generation and stemming as far back as the Exynos-powered HP Chromebook 11 G1. We don’t have details on what is included in the update but one surprise has surfaced already. The original Chromebook Pixel from Google was reported to have finally reached End of Life last month but it appears the Pixelbook predecessor has received yet another reprieve. According to the Chrome OS update list, the Chromebook Pixel is now on version 69.0.3497.95 of Chrome OS on all three channels. This is a good sign that Chrome OS 69 may, in fact, be the end of the road for Google’s OG flagship. Below you will find the list of devices receiving the update. Keep in mind, these updates roll out in phases so we could see more Chromebooks added in coming days and in some cases weeks. 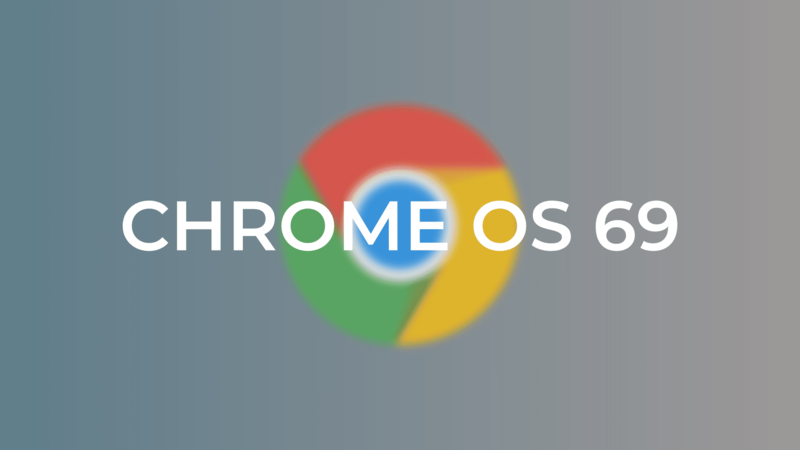 Have you received the update to Chrome OS 69? Drop a comment below and let us know if you find anything new. We’ll keep an eye on the developer’s blog for official updates.